Associate Professor Camilla Brockett is a Senior Research Fellow and Senior Sport Consultant at the Institute of Sport, Exercise and Active Living (ISEAL) where she manages projects and partnerships with key university partners. Camilla’s most recent projects include collaboration with the Australian Institute of Sport (AIS) to identify sport policy factors that impact Australia's sporting success. This research was also part of a sixteen-nation international comparative study on Sport Policy factors Leading to International Sporting Success (SPLISS). In addition, Camilla as been working on sport development initiatives with a State Government in India, as well as leading multiple projects with the Australian Paralympic Committee (APC) for research and develop into improved sport engagement and athlete development pathways. 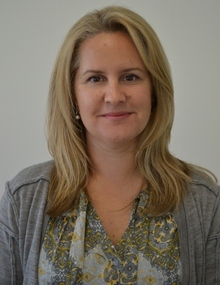 Prior to joining Victoria University in 2011, Camilla worked at the AIS for almost 10 years. She managed projects that identified world’s best practice in areas such as service delivery, operating practices and sport management, and benchmarked them against current practices at the AIS and other Australian sports organisations. Associate Professor Brockett has also consulted on high performance sport management and strategic planning for various national and international sporting organisations, including – the New Zealand Academy of Sport, Auckland University Millennium Centre for Sport & Health, Sony Ericsson Women’s Tennis Association Tour, Canoeing Australia, Australian Rugby Union, Swimming Australia, Triathlon Australia, Fremantle Football Club and the Western Bulldogs Football Club. In addition to gaining a PhD in Muscle Physiology, Camilla is also a qualified Level 2 Gymnastics Coach and has over 10 years coaching experience including 4 years at the Victorian Institute of Gymnastics. Fricker, P.A. & Brockett, C.L. (2008). Personal Best: The no-fuss get-fit guide. Penguin Books Ltd., Australia. Proske, U., Morgan, D.L., Brockett, C.L., Percival, P. (2004) Identifying athletes at risk of hamstring strains and how to protect them. Clinical and Experimental Pharmocology and Physiology 31, 546-550. Brockett, C.L., Morgan, D.L. & Proske, U. (2004) Predicting hamstring strain injury in elite athletes. Medicine and Science in Sports and Exercise 36, 379-387. Morgan, D.L., Brockett, C.L., Gregory, J.E. & Proske, U. (2002) The role of the length-tension curve in the control of movement. In Sensorimotor Control ed. Gandevia, S.C., Proske, U. & Stuart, D.G. New York: Plenum Press. Brockett, C.L., Morgan, D.L., Gregory, J.E. & Proske, U. (2002) Damage in different types of motor units following repeated active lengthenings of the medial gastrocnemius muscle of the cat. Journal of Applied Physiology, 92, 1104-1110. Gregory, J.E., Brockett, C.L., Morgan, D.L., Whitehead, N.P & Proske, U. (2002) Effect of eccentric muscle contractions on golgi tendon organ responses to passive and active tension in the cat. Journal of Physiology, 538, 209-218. Brockett, C.L. & Westerbeek, H. (2013) How much are we prepared to pay for international sporting success? The Conversation. Published on 3 August (Australia). Brockett, C.L. & Westerbeek, H. (2012) The end of the Olympic gravy train for Australia? Bulletin of Sport and Culture, 37, 8-9. Brockett, C.L. (2004). Benchmarking and Innovation at the Australian Institute of Sport. PSBS News 11, 18-19. Brockett, C.L. (2001) Eccentric training: Reducing the pain of the hamstring strain. Sports Coach, 24, 34-35. Brockett, C.L. (2000). Taking the hurt out of hamstring strains. Australasian Science21, 38-39. Westerbeek, H. & Brockett, C.L. (2012). Gold Medal policy: the impact of national policy on Australia's international sporting success. Proceedings of the 20th European Association for Sport Management Conference, Aalborg, Denmark, 18-21 September. Brockett, C.L. & Westerbeek, H. (2011) The new era in Australian High Performance Sport – insights from an international comparative study on elite sport climate and policies. Proceedings of the 19th European Association for Sport Management Conference, Madrid, Spain, 7-10 September. View Camilla's full publication list on the Victoria University Institutional Repository. Since commencing at Victoria University in 2011, Associate Professor Brockett has been a leader of or contributor to 5 major academic and research consultancy projects with a total funding allocation of almost $700,000. Following 10 years working in high performance sport, Camilla’s industry experience, practical insights and professional networks greatly complement her project portfolio at Victoria University.